Roll out the Red Carpet for The Gala Awards Night! If you love everything glitz and glam then Celebration’s Gala Awards night is the night for you! 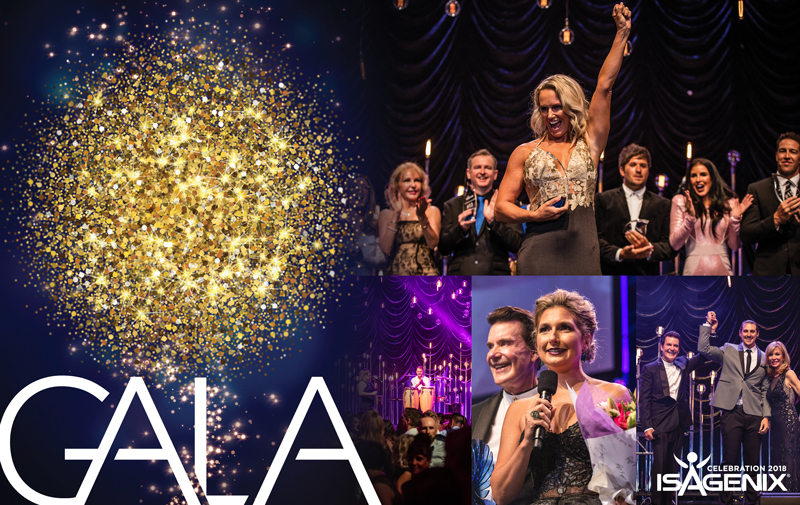 A night for recognition and celebrating, the Gala Awards evening is a not-to-be-missed affair! This prestigious event boasts entertainment, delicious food and drinks and is the perfect way to reflect on the successes of the past year. Criteria: You must have an allocated Celebration 2018 ticket in your Back Office in order to purchase a Gala ticket. Gala tickets are available for purchase as individual tickets or as a whole table. If you’d like to purchase a table for your team, please email EventsANZ@IsagenixCorp.com. Tables are almost at capacity, so get in quick to secure yours! Purchasing a Gala table includes 10 tickets in total. Members will be limited to 1 table purchase per account and it is the responsibility of the ticket purchaser to exchange payment between themselves and their table members. The cost of a table is $800 (10 tickets). Table purchaser must email all names and member ID’s to EventsANZ@IsagenixCorp.com no later than Thursday 15 March. Email EventsANZ@IsagenixCorp.com with your name, Member ID and contact number. A member of our Events team will be in contact with you to process your table through your Back Office. Individual tickets can be purchased through the Events website. Please be aware that you will not be able to allocate yourself onto a specific Gala table if you purchase your ticket individually and we will not be taking any requests for seating allocations. Individual ticket holders will be allocated to an available Gala table. Tickets are limited to 2 per business account. All individual gala tickets must be assigned no later than Thursday 15 March. Tickets will be available for collection at the Gala Booth by the ticket/table purchaser ONLY. It is the ticket/table purchaser’s responsibility to allocate the tickets to their guests. Gala tickets will need to be picked up before 3:00pm on Saturday 24 March. Head over to ANZ.IsagenixEvents.com today to purchase your Gala ticket or email our Events Team at EventsANZ@IsagenixCorp.com to secure a table for your team.